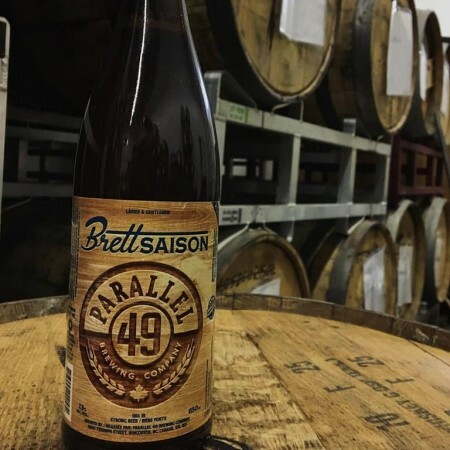 VANCOUVER, BC – Parallel 49 Brewing has announced details of the seventh and latest release in its series of limited edition barrel-aged beers. Brett Saison boasts aromas of peach, cherry and lemon. Aging for seven months in our oak foeder has left moderately strong notes of earthy, rustic, brett funk with a light, peppery, and floral aftertaste. Parallel 49 Brett Saison is available starting this week in a limited run of 650 ml bottles at select private liquor stores throughout British Columbia.